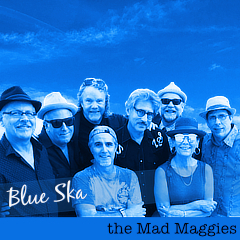 Enjoy you some Mad Maggies this month. We just got a call to fill in for a cancellation at the Sonoma County Fair. So we’ll be playing this Wednesday night August 5, 6-9PM. Cotton Candy, Dinosaurs — an exhibit of 45 life size dinosaurs has got to be great! — and the largest themed Flower Show in the United States. Don’t miss it! Then this Sunday, 8/9, bright and early, we play the Marin Civic Center Farmer’s Market — third largest outdoor market in California. Definitely worth a visit. Next week Thursday night we play the Downtown San Rafael Market 6-9PM. Pleasant easy-going happening on Fourth Street. We’re in the plaza. Enjoy food and drink in one of the many outside cafes. And then Saturday 8/22 we play the 19th Annual Cotati Accordion Festival. Our show is at 4PM but you’ll want to come early and stay late. 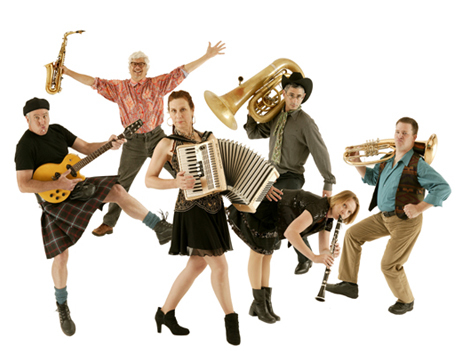 Those Darn Accordions headline Saturday. They are celebrating their 20th! Super line up both days.